DVC Clarifies Position on Riviera Resale - DVCNews.com - The essential Disney Vacation Club resource! Once sales of Disney’s Riviera Resort begin, Members who purchase a resale contract at that Resort will only be able to stay at their Home Resort. Resale contracts purchased at the 14 other Disney Vacation Club resorts opened prior to Disney’s Riviera Resort will only be able to exchange into those 14 Resorts but not into Disney’s Riviera Resort. It had been speculated that Riviera may be grouped in with future resorts including the announced Reflections, a Disney Lakeside Lodge which would be available to book at 7 months. Based upon this latest statement, that does not appear to be the case. Resale points for Riviera will be valid only at the one resort, subject to availability. Owners could also bank or rent unused points, or trade them thru RCI as part of the "World Collection." Members purchasing Riviera points direct from Disney Vacation Club can continue to access the fourteen existing DVC resorts and any future resorts, with reservations available 7 months prior to arrival. Additionally, resale points for the original fourteen resorts purchased after January 19, 2019 cannot be used to book Riviera or any future resort. The chart pictured above is included on the DVC website, highlighting the differences between a direct and resale purchase. This is just the latest in a series of moves designed to undermine the resale market, encouraging buyers to purchase points direct from DVC. 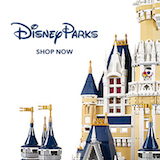 Access to most member perks including theme park ticket discounts, shopping discounts and attendance at free Moonlight Magic events requires a member to own at least 75 points purchased direct from DVC. Limiting Riviera resale buyers to only their Home resort will likely reduce demand for such points, thus harming the resale value. The exact financial impact on Riviera owners seeking to sell their points remains to be determined. Meanwhile, blocking those owners from reserving rooms at Disney's Beach Club Villas, Disney's BoardWalk Villas and other popular destinations will have a positive effect on availability for members who can access those properties.